Just after launching Samsung Galaxy S6. Samsung has announced Samsung Galaxy S6 edge. It seems samsung don’t want any other mobile company to stay in top. All latest smartphone of samsung is having unimaginable features. It is expected that Samsung will sell over 20 million Samsung Galaxy S6 edge. Still price is not confirmed. But people are waiting for this smartphone. It is expected to launch in April, 2015. Below are the Samsung Galaxy S6 edge specifications. We have analysis almost every feature of this amazing smartphone. Samsung Galaxy S6 edge Specifications : 115GB cloud storage, 16MP camera,16 million colors, dual video recording, 128GB internal memory, 5.1 inches display. Samsung Galaxy S6 edge has 16 MP primary camera. It has resolution of 2988 x 5312 pixels. It has an optical image stabilization. Which help user in capturing moving objects. It has autofocus and LED flash. It has face detection sensors. It has video clarity from 720p@120fps to 2160p@30fps. User can record HDR videos. It has 5 MP secondary camera. Users can do dual video-calling. Samsung Galaxy S6 edge has 5.1 inches display screen. It has Super AMOLED touchscreen. It has 16 million colors. If we compare screen and body. Then 71.1% is screen as compare to body. It has latest Corning Gorilla Glass 4. Which make the smartphone dust resistant. Samsung Galaxy S6 edge is 142.1 x 70.1 x 7 mm in dimension. It weighs around 132 grams [4.66 oz]. It has special fingerprint sensor. Which is certified by PayPal, Mastercard and Visa. User can transfer money, by using their fingerprint. Samsung Galaxy S6 edge has Android operating system. It has latest android version Lollipop. It has Chipset of Exynos 7420. It has two Quad-core processor. It has 1.5 GHz Cortex-A53 and 2.1 GHz Cortex-A57. Samsung Galaxy S6 edge support both 3G and 4G technology. It has internet browsing speed of 42.2/5.76 Mbps on HSPA and 300/50 Mbps on LTE Cat6. Samsung Galaxy S6 edge is available in several variants. Its internal memory is dependent on version of smartphone you buy. Its internal memory is available in 32/64/128 GB. It has 3 GB RAM. It has cloud storage of 115 GB. Note : Memory is not Expandable. No slot for memory card. Samsung Galaxy S6 edge has several sensors. It has compass, Accelerometer, gyro, proximity, barometer. It is also the first smartphone. Which has inbuilt sensors to detect heart rate. Samsung Galaxy S6 edge has Li-Ion 2600 mAh battery. We are still working to bring more information about Battery. Bookmark this page. As we keep updating it. Note : You cannot remove the Battery. It has latest WiFi, Bluetooth and GPS. It has an option of creating WiFi hotspot. It also has infrared spot for transfer of files. It has micro USB slot. It also has wireless charging option. It remove all disturbance while recording. It has several common features. It support JAVA, HTML5, help in viewing documents and many more. Samsung Galaxy S6 edge is available in Black Sapphire, Green Emerald, White Pearl and Gold Platinum. Samsung Galaxy S6 edge is most updated smartphone. Remember you won’t get all the features till few months. 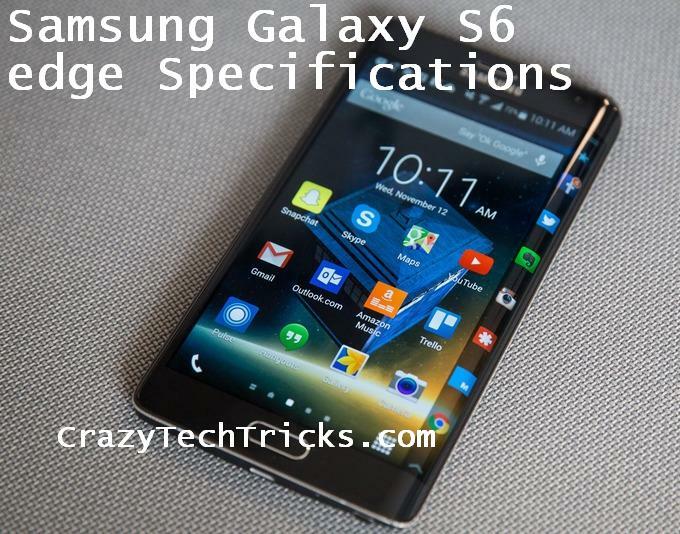 Above Samsung Galaxy S6 edge specifications prove it is the best smartphone. As no competitor of samsung is available. So, it is expected that Samsung Galaxy S6 edge will rule mobile phone market. Till new Iphone is launched. It cost around Rs.58,000. Try buying online from this website http://theyouthofindia.com/ and it will automatically get donation forr poors.